Regional stakeholders have agreed to the implementation of a Framework on Migrant Health and Rights at the country level, and to the pursuit of a holistic approach to providing services to migrants. 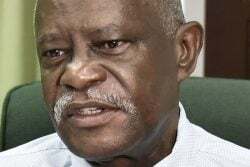 This was reported by the Pan-Caribbean Partnership against HIV and AIDS (PANCAP) in a release on Thursday, when it concluded a regional meeting to provide guidance on the implementation of the Regional Framework on Migrant Health and Rights. The meeting was held in Port-of-Spain, in Trinidad and Tobago. ….